Many Airbnb hosts in Chicago are facing difficulties in renewing their registrations due to increased short-term rental regulation enforcement. In early August, the city sent over 2,400 notices to Airbnb owners, threatening them with large fines if the owners didn’t remove their listings within a week of receiving the email, Patch reports. The notices said that the Airbnb hosts’ applications to register their short-term rentals were rejected under the city’s short-term rental/housing ordinance, which was passed about two years ago, according to the Chicago Tribune. Moreover, the applications had incomplete information, and Airbnb hosts were instructed to contact the company to fix the problems. The ordinance also requires all units on a site to have a registration number, according to the Tribune. The Chicago Department of Business Affairs and Consumer Protection began issuing these numbers about a year ago, and many of those registration numbers must soon be renewed. Failure to comply with the emailed notices could impose up to $1,500 in fines on Airbnb hosts per day, the Tribune reports. Between June 2017 and May, Chicago collected $100,000 in revenue from fines. However, some residents like Jennifer Serrano have criticized the city for making compliance difficult. Serrano told the Tribune that she had received her rejection notice one day before leaving on a road trip, and that she’d spent hours trying to contact the city and Airbnb. “We’re definitely wanting to conform to everything that Chicago wants us to do, jump through all the hoops to be registered, but they’re not making it easy,” she told the Tribune. “They’re making it near impossible. 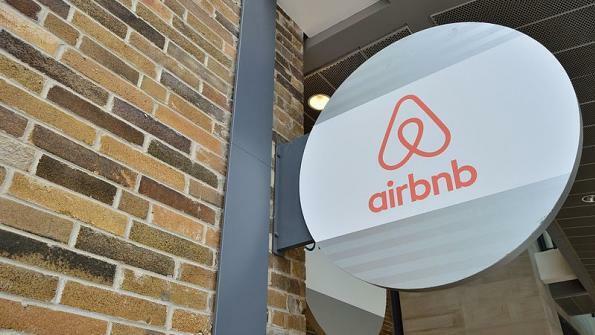 In a letter to residents, Chicago Alderman Michele Smith defended the ordinance and argued that Airbnb should fix issues in its database that allow units to be listed without proper addresses, according to Patch. “We will remain vigilant in efforts to curtail the proliferation of unlicensed short term rentals that have been devastating to the neighborhood character of other destination cities around the world,” Smith told Patch. Airbnb issued this statement: “We are working with the city to address this issue and continue to support our Chicago host community. As one of only two licensed home sharing platforms in Chicago, Airbnb appreciates its ongoing partnership with the city and looks forward to a swift resolution of this matter,” according to Patch. Cities across the country have encountered mixed experiences in trying to regulate and work with Airbnb, as American City & County has previously reported.